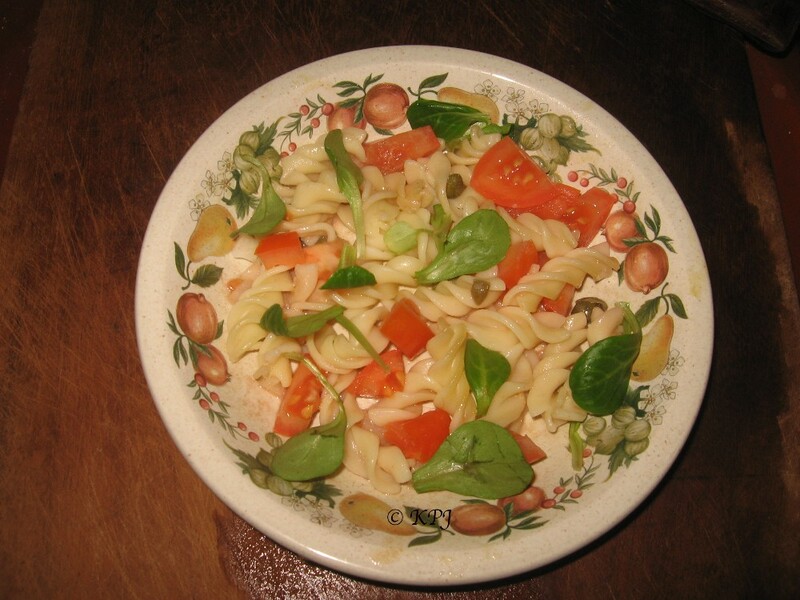 As we mostly eat salad for a light evening meal, the staple tends to be either potato, rice or pasta. So when one of those is cooked as a main course, extra is included to save for the salad. When I say save, I mean hopefully, save. Dressing is the perennial mustard dressing that coats most of our salads. Other additions usually include pimiento, either red or green, cucumber, red or green chillies but I didn’t have any of those. Or sometimes mushrooms or garlic. Like me, it’s years old. What’s left of my mum’s Wedgwood Quince collection. A lovely collection for sure. Let’s rather call it years ‘young’. LOL! I’ve got too China sets as well that I don’t use. Need to sell them. Oh that’s quite stylish. I’ll add some links of my pesky Wedgwood in a min. It’s not mine either. That’s why it’s all packed away still. And when you get a passport and come to the finca you can dine off gold florentine. I never noticed they were dragons! Goes for a fair price, trouble is I’m not sure I want to flog it. I do quite like the gold I must say. Not keen on the pink although I had vases and such in my bedroom as a kid.